BeenThere-DoneThat: Sheffield Park (1), Sussex. 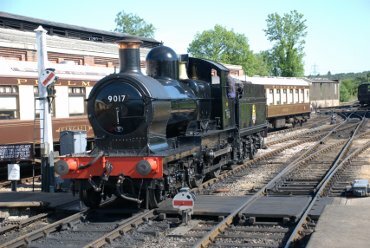 Locomotive 9017, the 'Earl of Berkeley', heading for the sheds after hauling the last train of the day into Sheffield Park Station on the Bluebell Railway. 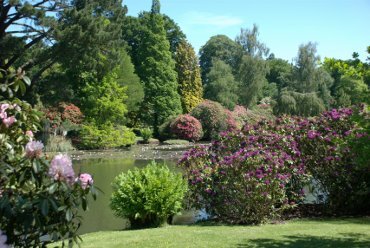 Sheffield Park is 10 miles north of Lewes and 7 miles east of Haywards Heath. 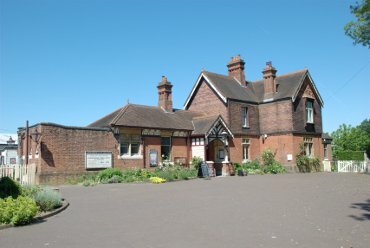 Sheffield Park Station on the Bluebell Railway. 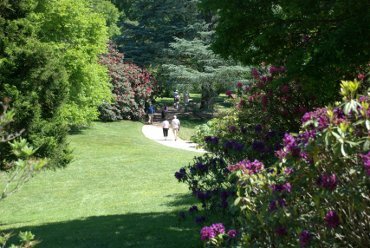 A little over a quarter mile from the station is Sheffield Park Gardens which covers around 120 acres and is owned by the National Trust. It is an informal landscape garden and was laid out in the 18th century by 'Capability' Brown. We were only a short way from the entrance when I took this photograph and this view gave just a hint of the colours we were about to see in both the blooms and foliage. There are five large lakes in the garden of which this, Middle Lake, is but one. We visited at an oportune time when the Rhododendrons and Azaleas were still flowering providing magnificent views with astonishing colours.